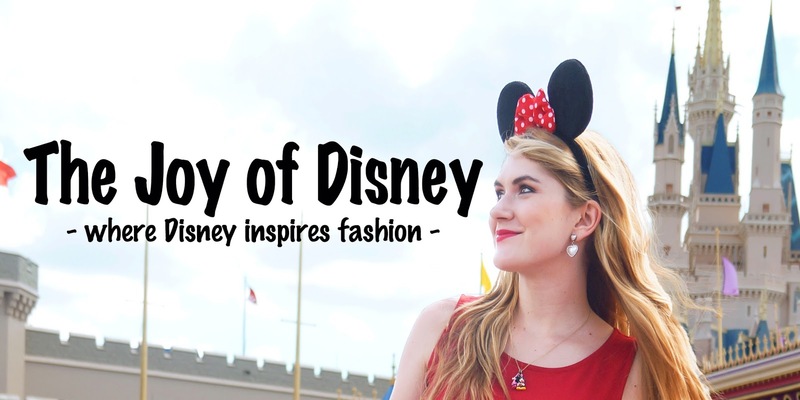 The Joy of Fashion: Monday's tip of the week: Wear a POP of color! 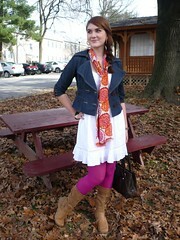 This week's tip is to make outfits with a POP of color! 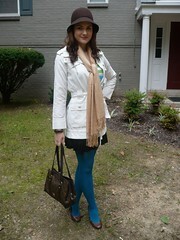 Many times I'm sure you have all read me write that I added a pop of color in my outfit. 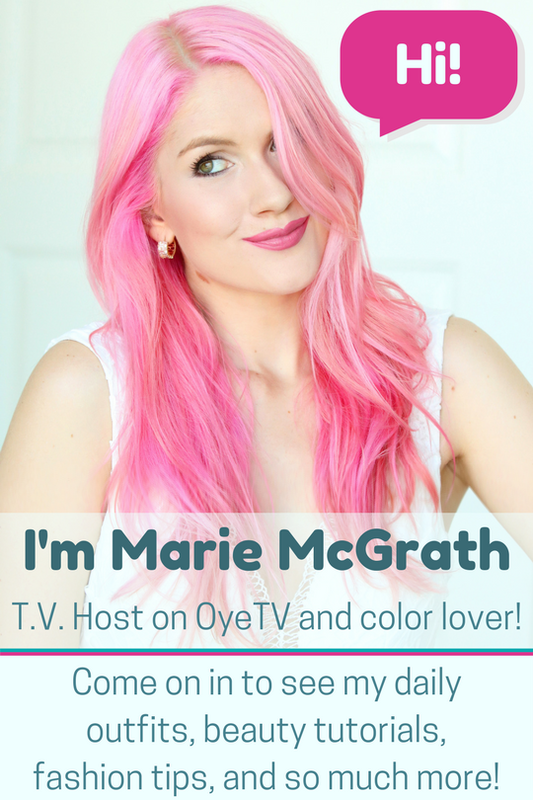 Here I will show some ways in which you can add a POP of color into your own outfits! 2. 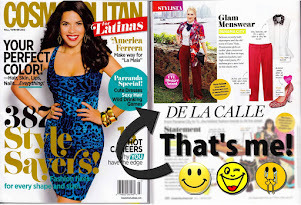 Popping scarf: Here you wear a scarf as the main POP of color. 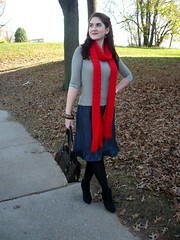 The outfit can have colors or be neutral, as long as the main focus is the scarf. 3. Tights make your legs POP: I know I have said it many times before, but again an easy way to add a POP of color is just adding colorful tights. 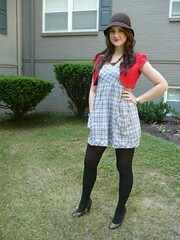 You can either pair it with a neutral outfit, or combine it with elements that include the color of the tights. Either way, I promise these colorful babies wont go unnoticed. 4. 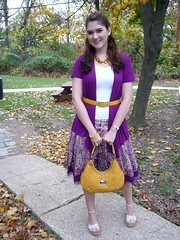 A POP through accessories: Here you add a POP of color is through accessories such as belts, purses, and jewelry. This is perhaps one of the easiest ways to incorporate the POP. 5. 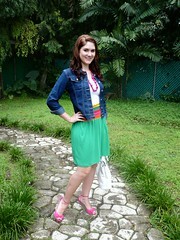 Colorful POP on your feet: One last way I introduce a POP of color is by adding bright and "Look-at-me" shoes. These always look chic and very unique, in my opinion. 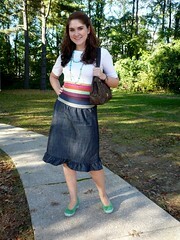 Note: I just noticed that both of these skirts have a rainbow waist, what a coincidence! So go ahead and get those outfits popping! Its a really fun and easy way to spice up your outfits. 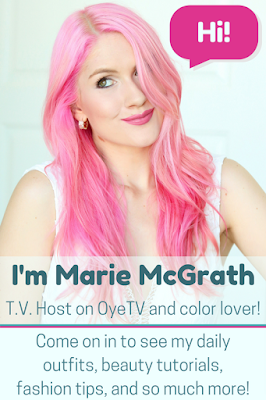 These are the ways I incorporate a POP of color, how about all of you? Wonderful use of color to add that special something to your outfits. i am still stuck in my perfectly matching shoes and purse thing. You are slowly helping me to take more chances with my accessories.